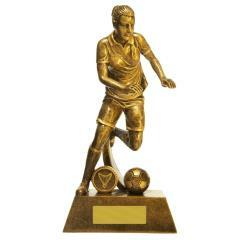 This series of soccer trophies is fantastic for Most Improved, Most Consistent or Most Valuable Player. 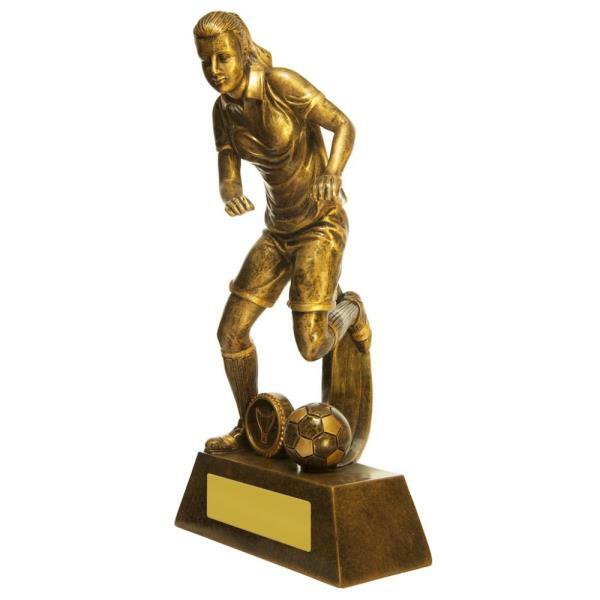 An antique gold football resin which shows a female player kicking the ball for a goal, this will be a hit with every recipient! 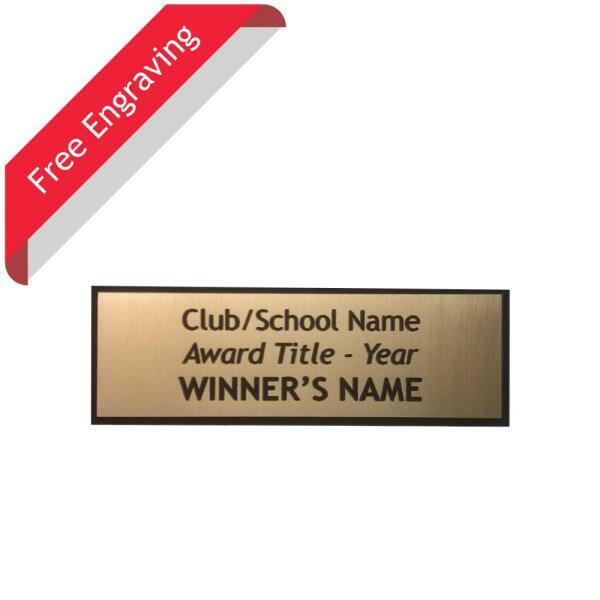 Why not add your Club Logo in colour? We can personalise this trophy by covering the generic cup symbol with your own Club Logo printed in colour on a 25mm disc.